Lotus is on track for a full year of profit at long last. It’s been a comeback year for the British sports car manufacturer Lotus. A couple of years ago, the company was just as well known for its financial struggles as it was for making ludicrously light sports cars. At one point, the situation was so bleak it looked likely that Lotus would be declared bankrupt. Sales reports made for grim reading: in the 2012-2013 fiscal year, Lotus posted a substantial loss of £160 million (about $207 million). Things are rather different today, however. Lotus has announced that it’s finishing the 2016-2017 fiscal year on a high with a positive profit of £2 million (around $2.6 million) before interest and taxes. That’s a vast improvement over the previous year, where the company recorded a loss of £16.3 million ($21.1 million) before interest and taxes. In the second half of the last financial year, its pre-tax profits soared by £10 million (around $13 million). Yes, Lotus is finally making a profit on its lightweight sports cars, meaning that the company is now self-sufficient and sustainable. It’s worth noting, however, that Lotus still made a loss of $14.5 million last year when you take interest, taxes, depreciation and amortization into account. The goal is to return to an full year Profit Before Tax for 2017/2018. “This is a proud moment for Lotus and to have achieved so much is testament to the hard work of all our staff,” said Lotus CEO Jean-Marc Gales. “Our vastly improved profitability, together with an increase in revenue means that for the first time in many years Lotus is now a self-sufficient and sustainable business.” What makes this achievement even more remarkable is that Lotus hasn’t introduced a new model – the long-awaited successor to the Elise still isn’t due until 2020. Instead, it’s been revising its current line-up with a slew of limited editions, including the exceedingly fast Evora GT430 – a strategy that has literally paid off. Lotus also recently branched out to other markets by finally bringing its sports cars to America again, and now has 215 dealers worldwide compared to 138 in 2014. Factor in the recent takeover by China's Geely which now has a majority stake in the company, and the future is suddenly looking bright for Lotus. 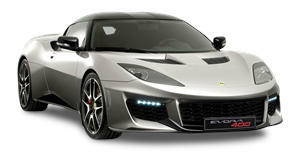 Geely will help fund the development of new Lotus vehicles, including an SUV planned for 2022. Yes, even Lotus is succumbing to the trend of performance car manufacturers building SUVs to sustain profitability.